Window Woe | Yobot Inc.
Springtime is lovely in the suburbs (and the city). Trees, flowers, green grass, fresh-air breezes blowing. We’d love to invite that fresh air into our house for a visit, to come in and stay a while. When we did the initial walk-through of the house, and totally fell in love with it, we noticed that the windows on the main floor were painted shut. “Hmmm” we thought. “That’s not good”. We tried to open them, but figured since we weren’t really trying, and didn’t have any tools, THAT was the reason they wouldn’t open. Before we closed, we sought advice from some of our friends and from the internets – all of whom told us that painted windows were no trouble to open, you just needed the right tools. Not these windows. These windows are out to get us. After we closed, we began painting, and looked in our Home Depot book to find a solution to open the windows. We did that. We also tried a “sash saw” – a tiny, flexible thin saw that you insert in the space between the window and the sash to break the paint seal. We tried removing the window from the outside to get into the interior window. We tried for 2 – 4 hours per window, invested the time. We began trying to WILL the windows to open. We tried talking to them, reasoning with them, begging them to open. We decided to call in reinforcements – a Handyman company. They said over the phone that “yes, no problem, we can do that”. Our new friend Brian, the handyman, came over and took a look. He brought his tools, I explained the issue, and he went right to work, confident, and ready to go. Then I heard glass breaking. 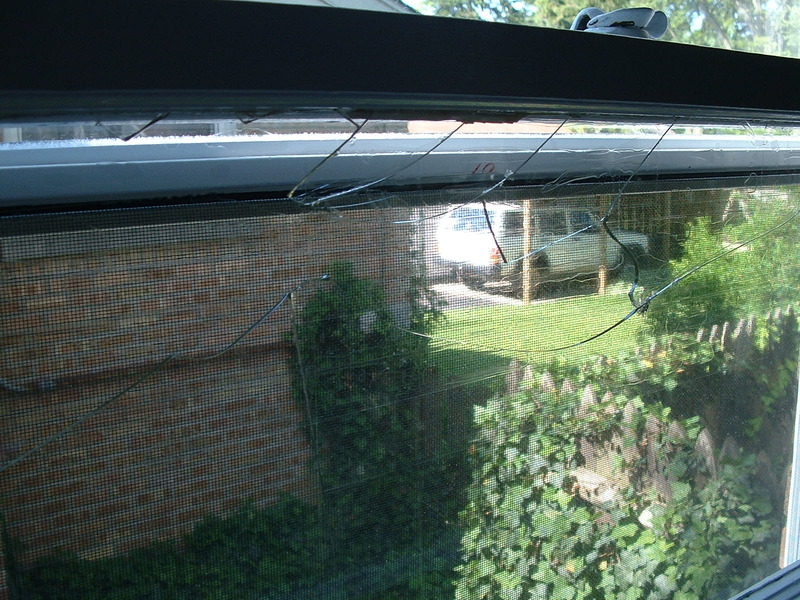 I thought that was really nice, to not charge us for breaking one of our windows. At least, it wasn’t just us and somehow beyond our skill level.